INDIANAPOLIS, November 26, 2013 -- Global Water Technologies (OTC Pink: GWTR) is one of 40 companies that will be featured at WaterVent, a water investor event in Dubai on November 28th. WaterVent Ras Al Khaimah 2013 will bring entrepreneurs, investors and interested parties together from many different countries where water issues and opportunities are top priorities. Global Water Technologies will address its work to improve efficiency in drinking water distribution systems through the introduction of smart water solutions that include sensors, software, smart meter upgrades and data analytics. 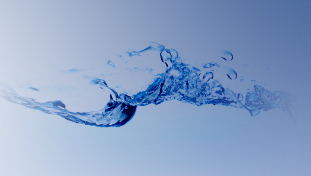 As we prepare to deploy these solutions and grow the business in 2014, we welcome the chance to connect with strategic partners and investors who recognize the opportunities in this emerging space, said Erik Hromadka, CEO of Global Water Technologies. Global Water Technologies has been working to deploy a patented sensor + software solution for early leak detection and this summer it also acquired GreenSuite, an early-stage Software-as-a-Service (SaaS) company that provides customer dashboards with better data on water usage, an education portal and rewards for efficiency. Last month, the company acquired a small consulting group with expertise in underground water infrastructure design and innovation. WaterVent was launched in 2009 as Europe's first investor-entrepreneur matchmaking forum and is a platform of Leonhard Ventures in Berlin, Germany. The Dubai event is being hosted by Utico, a major utility service provider in the Middle East and the largest private utility in the United Arab Emirates. UPDATE: 11/28/13 - Due to an unexpected scheduling conflict, the presentation was made via video and can be viewed below or at this link.